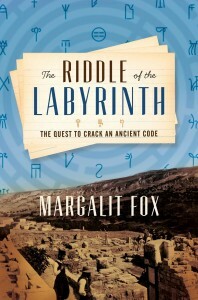 The Riddle of the Labyrinth by Margalit Fox (ECCO Books, a Division of Harper Collins) is the kind of book I like. It is a thriller based on a true story, centered on the deciphering of the ancient script Linear B. The book is divided into three parts—The Digger, The Detective, and The Architect. The Digger is Sir Arthur Evans, the British archaeologist who excavated the Palace of Knossos in Crete in the early 20th century and unearthed scores of tablets bearing similar inscriptions which he and others believed must be a forgotten language. The script that language was written in became known as Linear B. The Architect is Michael Ventris, a young man of recognized talent as an architect, who eventually deciphered the script in 1953. Between them, The Detective, is Alice Kober, a classical scholar teaching at Brooklyn College and a hitherto unknown member of the cast of characters, who in the author’s view turns out to be the story’s star and tragic heroine. At the time Michael Ventris cracked the code I was sixteen, and he was something of a hero to people my age. In the previous generation, Sir Arthur Evans was the established authority in the field—wealthy, privileged, showing up every day at the excavation site in a suit and tie. In contrast, Ventris was not an academic or a serious scholar but a young man with an idea. Of limited means, employed full-time as an architect, he had the boyish ambition to unlock the mystery of this secret language and kept devoting his spare time to what became a life-long private obsession. Of these, Evans was the likeliest to be cast as villain, hoarding the tablets and not letting others, including Kober, get a glimpse of them until his study was published. But the author is not interested in villains or in villainy, and after devoting her initial section to Evans, she turns her attention to Kober and Ventris who between them enact a much more absorbing story. 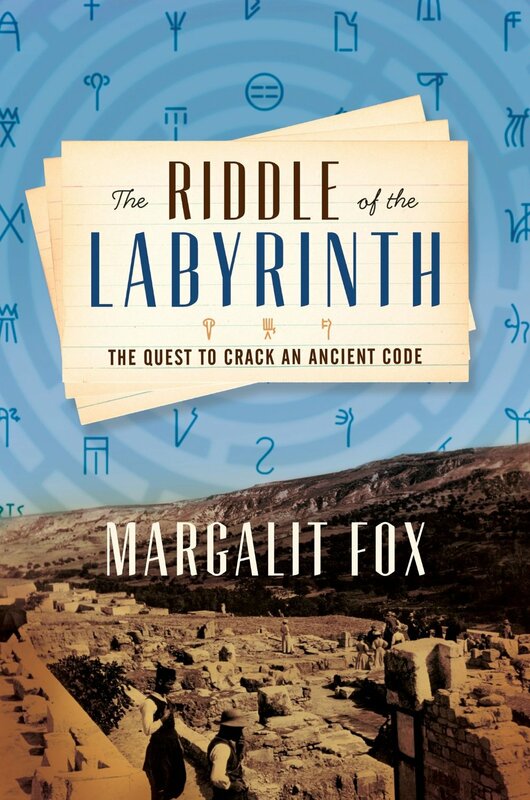 Fox sees Ventris as erratic and uncertain of himself intellectually, sometimes giving up the search only to come back to it in what Fox calls his on-again-off-again affair with Linear B. (At one point, she reports, he exhorted Kober to “hurry up and decipher the thing,” one surmises so that he could forget about it.) Then after Ventris became the only one left, Fox makes a surprising assertion that Ventris’s sudden success—which she portrays as largely built on the work of Kober—may have derailed his life as an architect and left him with no one single profession—an aberration which Fox suggests may have led Ventris to his death, which, some people maintain, was a suicide. As scholars, Evans and Ventris both had axes to grind. Evans was intent on proving that Linear B was Minoan and thus that Peloponnesian Greece, where similar tablets were also found, was an outpost of the Cretan civilization and not the other way round. Ventris had a theory to suit a different fancy. When he was a teenager, he got the idea that Linear B was invented by the Etruscans, and he held to the idea steadfastly throughout his career, right up to the point where, almost against his will, he proved that Linear B was Greek. They did because from each of their differing points of view, the other person did not display the characteristics and habits of mind that each considered valuable. Ventris was insightful but erratic, while Kober was methodical, and Ventris may have thought overly scholastic, although he would not have dared to say so. The author believes Ventris couldn’t have deciphered the script without the painstaking work that Kober had done before him, and probably even Ventris would agree. It is clear where Fox’s sympathies lie, and not unreasonably so. There is inescapable poignance in the fact that Kober faced a fatal illness that would kill her before she could finish her life’s work. The discovery of her unrecognized life must in fact have been the inspiration for Fox’s writing the book in the first place. But although Fox never says anything to suggest as much, I have the opinion that Kober could have used some of Ventris’s audacity and willingness to take imaginative leaps. As her illness (which was probably cancer) overhung her life, she went on methodically assembling her evidence, building a grid of symbols, which she eventually left behind. Ventris using the grid in his turn, guessed that a repeated sequence of three characters known as “Kober’s triplets” occurred so often that they must be place names in Crete, probably where the tablet-documents were “issued.” Ventris correctly equated the Greek names with the Linear B symbols and was able to crack the code. It was a momentary inspiration based upon Kober’s years of study, Fox would say. But I believe it demonstrates the necessity of combining intuition with the painstaking and methodical research that must go before it. Each one is of little use without the other. The tragedy as well as the irony in the story is that these two capacities were found in two different people, two people who did not know or like each other very much. Like her heroine Kober, Fox avoids jumping to conclusions, and she is adept at withholding judgment so that the story can seem to tell itself. That is an effective narrative technique which leaves it up to the reader to make judgments in the author’s place. So, rising to the challenge, I see the story of Kober and Ventris as a retelling of the Tortoise and the Hare. The Tortoise keeps on making slow progress toward her goal, with the surprising twist that she dies tragically before the race is over, and the Hare, who until then has been weaving back and forth in a less than admirable manner but is not in himself a villain, finally breaks through.